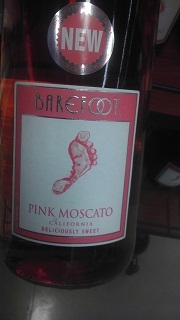 Having tried their other Moscatos, noticed this one on the shelf at the local grocery store - Barefoot Winery's Pink Moscato. Rated at 9% Alcohol Content, so it's a little less than their Sweet Moscato, this one gets a "Good Rating" from the Winos! Reminds us of the Sweet Moscato but has a "Zinfandel" feel to it. Regardless, it tastes good and it's light on the pocket book. One more stop while roaming the off-campus area known locally as the Northgate back at Texas A&M. This one was not there back when the two Winos went to school back in the day. But, we liked the live music, so we stopped to check them out. 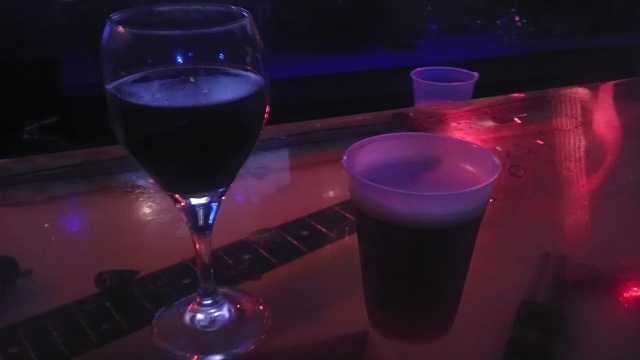 While there, ordered a Ziegenbock Beer and then their House Reds they offered. 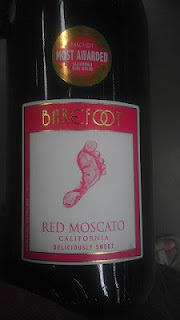 Guess what... the House Reds were Barefoot Winery's Merlot and Cabernet Sauvignon. "Good Ratings" for both of them! Making the rounds on the old stomping grounds this weekend. 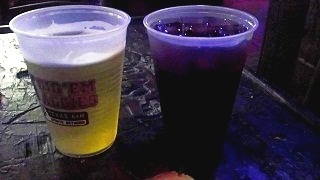 Had a Lonestar Beer and then a Red Sangria from the Dixie Chicken! Guess what... both Winos give the Red Sangria a "Good Rating"! Will buy this one again. This is one the Winos always can agree on. Stopped at our alma mater... Gig'em Aggies! 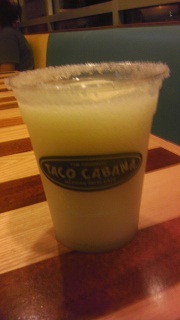 Taco Cabana in College Station still makes a decent Margarita; easily earns a "Good Rating"! Here are two Sangrias the Winos tried at a favored pizzeria. Cavalli Pizzeria and Wine Bar in McKinney, Texas offers a White Berry Sangria and a Red Berry Sangria. The Sangrias are made daily with the fruit allowed to soak overnight. The Winos gave it a try. 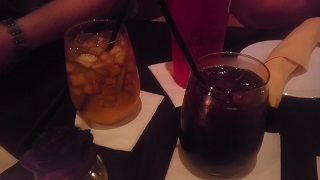 And, decided on a "Good Rating" for the Red Berry Sangria and a "Neutral Rating" for the White Berry Sangria. 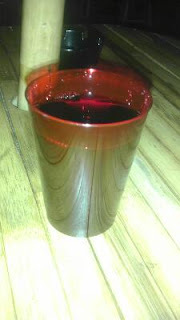 The Red Wine Wino just could not agree on buying the White Berry Sangria again. Was out hitting the slots at Choctaw Casino. Ordered a House Red Wine; turned out to be Liberty Creek Merlot! We liked this one in the past; we still like it now. The Winos give it another "Good Rating"! Found the beer we had at Village Burger the other day. 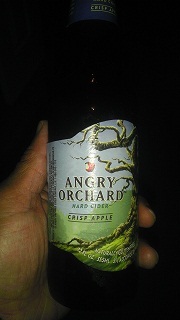 Picked it up at Market Street; it turned out to be a Hard Cider. Both Winos agreed to buy this one again! Not a wine but it earns a "Good Rating"! 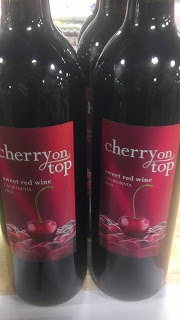 Was at the grocery store and was offered to taste a couple of wines from the Cherry On Top Winery. 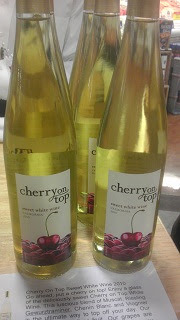 Liked both red and white sweet wines they offered; White Wine Wino opted to buy a bottle of the Sweet White Wine. Both Winos agreed to buy both red and white sweet wines but this round went only with the Sweet White Wine... it is a blend Muscat, Reisling, Gewurtzramnier, Chenin Blanc, and Viogner. This one easily earns a "Good Rating"! Decided on some drinks at a local eatery instead of wine. 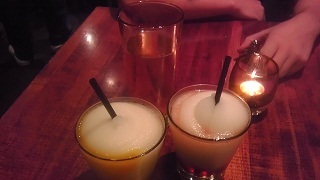 We went with a Mangorita, a Pomerita, and Angry Orchard Beer. The "Ritas" were tasty like always but the surprise was the beer. We noticed the Angry Orchard Beer was more like a Cider than a Pale Ale that we thought it was. Pleasant surprise when we tasted this one! Stopped in Coppell, Texas for dinner. Ordered a House Red Wine from a Mexican Food Restaurant called Anamia's. It was a Woodbridge Cabernet Sauvignon. Liked this one... Gets a "Good Rating"! Had a hankering for something other than wine. Decided to stop at a local eatery that two Winos like - Village Burger Restaurant. They offer great burgers; more important... they offer great late evening "Happy Hour Specials"! 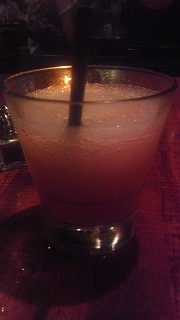 In this case, we chose a Margarita they mix with a liqueur and call it the Chamborita. Good stuff,... potent, too. As a general rule, we limit ourselves to two drinks and no more as the drink tends to be on the strong side. Here is an offering from Barefoot Winery; it's a Red Moscato. We like it but do prefer their Moscato over this one. The Red Moscato has some "fizz" and has a Sangria like feel to it. We would buy this one again, so it gets a "Good Rating"!